Apparently, back in the day, the focus wasn't really on protecting your youngster. 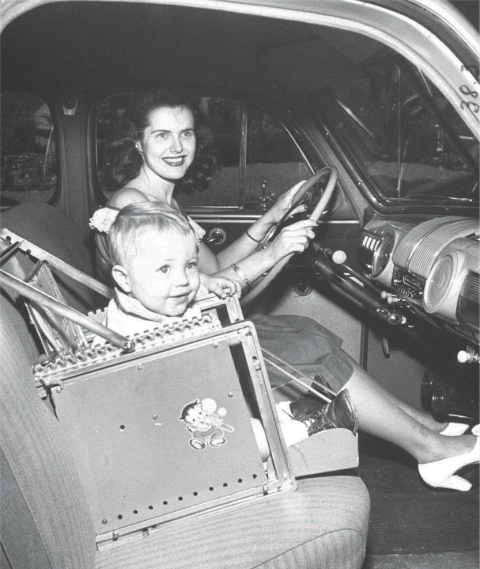 Car seats appeared on the scene in the 1930s as a way to keep kids contained in moving vehicles. Come the 1940s the chairs were boosted up so kids could see out of the windows. Sure, a nice feature if little Billy likes to sightsee. But still not very safe. 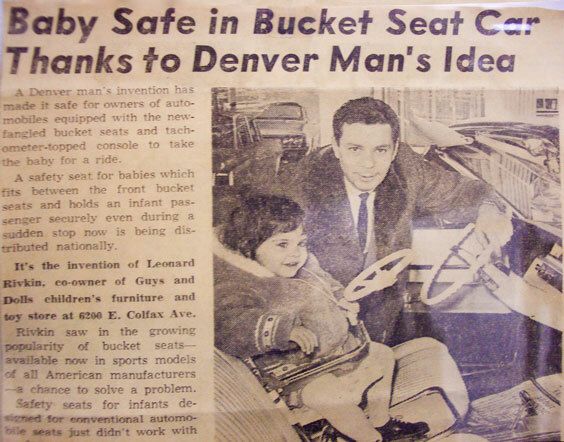 In 1962, two different men designed models that took advantage of seat belts. 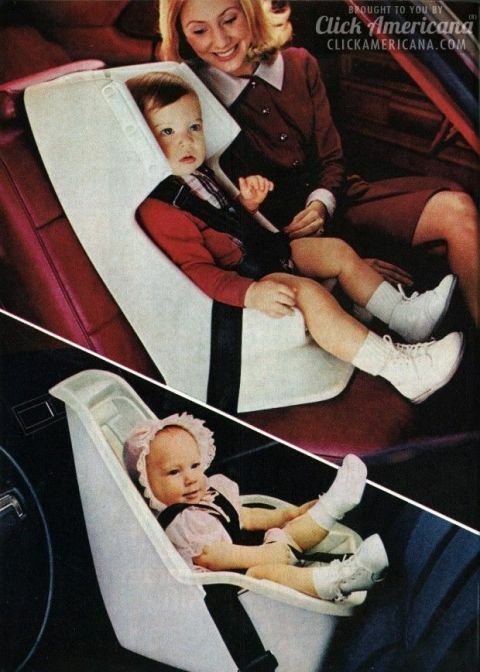 The '60s marked the beginning taking car seat safety seriously. American Leonard Rivkin (seen above) created a seat that featured a metal frame surrounded by a buckle, while Briton Jean Ames' design was a rear-facing seat with a Y-shaped strap — which is similar to today's models. 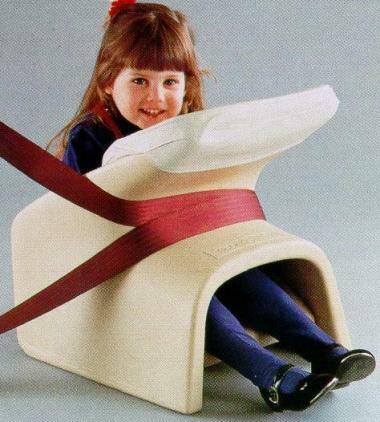 Not to be outdone, the Ford Motor Company's "Tot-Guard" hit the market in 1968. Which was a plastic chair that had a padded area in front of the child's face and acted as a cushion upon impact. 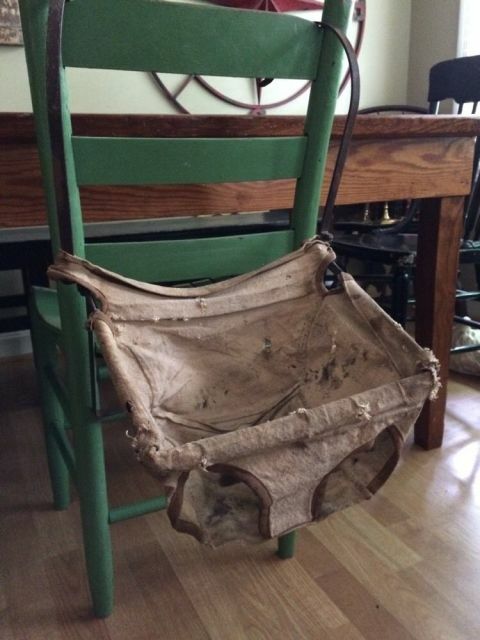 Soon after, General Motors released their Love Seats. 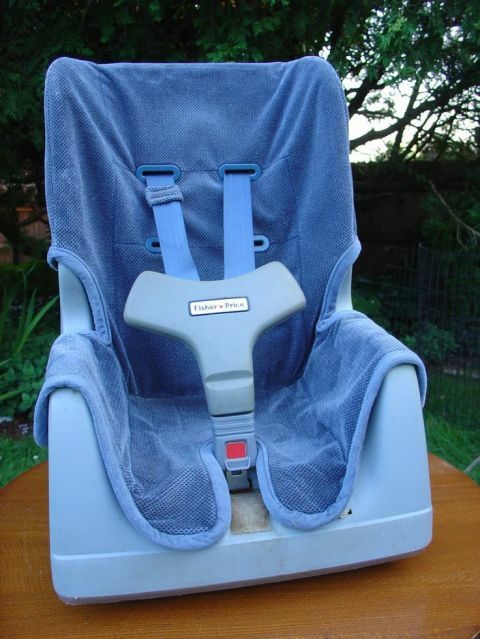 There was a separate design forchildren and infants, both of which also utilized seat belts to keep them in place. Made from polypropylene and padded with urethane foam, they were touted as lightweight and portable. But this 1969 "Steel Travel Platform" proves safety was still an issue. This advertisement in the Fall/Winter issue of a Sears catalogue for a vinyl-covered foam pad that kids could sleep or play on in the back of the car is both surprising and alarming. It wasn't until the '70s that regulations started to be implemented. 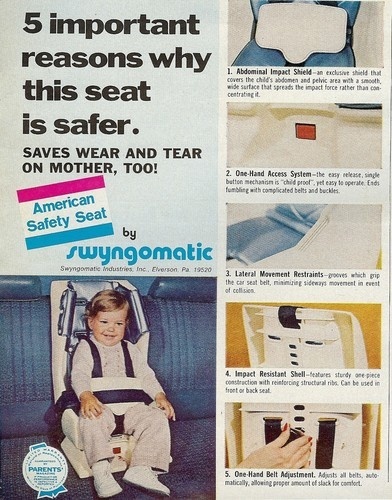 The very first standard was set in 1971 by the National Highway Traffic Safety Administration, which required all seats be held by safety belts and include a harness to hold the child into the seat — though, no crash testing was required. 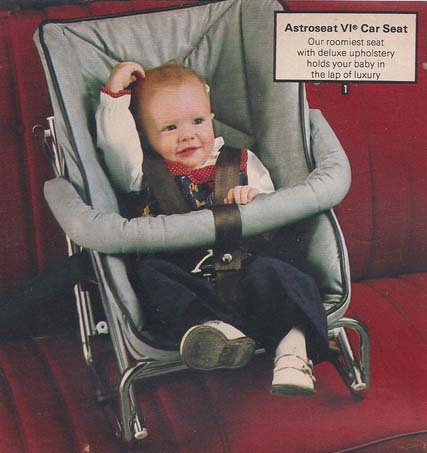 By 1985 the first child passenger safety laws were passed. This required children under a certain age to have a car seat when riding in a vehicle. In 1995 LATCH systems were introduced. These are lower anchors and top tether anchor points that improve the stability of the seat if the car gets into an accident. Today, child safety car seats have strict regulations. 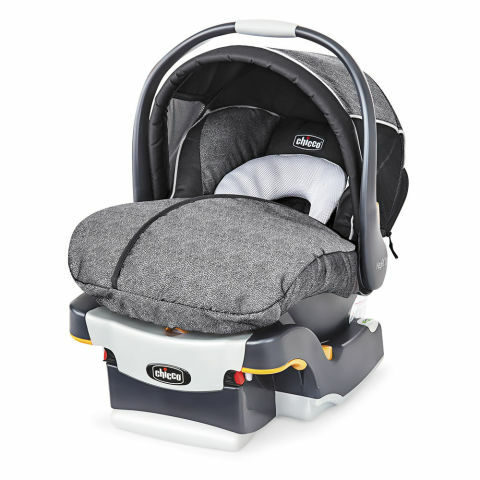 Safety seats are required in all states and must be tailored to the age and weight of the child, so your child will almost certainly need more than one in their lifetime (get the scoop on all the different types of car seats here). Today, the seats come with expiration dates and safety recalls are taken very seriously. Funny Kids Drawing of Stripper Mom When I grow up I want to be a stripper like Mom. Individualism – the good, the bad, and the ugly. Camelia is a BABE. Ethereal theme. Powered by Blogger.